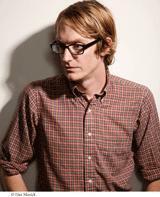 Patrick deWitt is the author of the critically acclaimed Ablutions: Notes for a Novel, as well as The Sisters Brothers, which was short-listed for the Booker Prize. Born in British Columbia, he has also lived in California and Washington, and now resides in Portland, Oregon. His newest novel is Undermajordomo Minor.